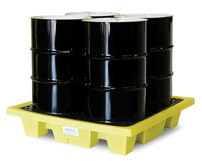 When space is limited, the In-Line Poly-SpillPallet holds 4 drums snugly against the wall. 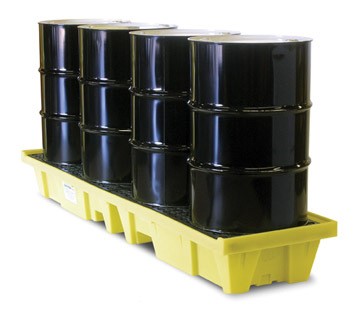 The In-Line Poly-SpillPallet holds four drums in a narrow line to fit into limited space. 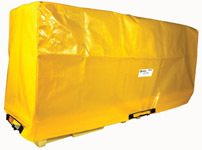 Full containment that takes up less room than traditional models. 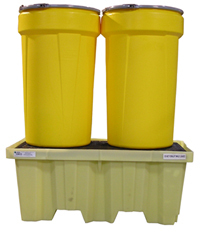 It is also a great option between columns and other "unusable" spaces.